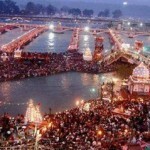 Dating back to the time of the Rig Veda, the Maha Kumbh Mela is celebrated once in twelve years. Celebrated on the banks of Indiaa? 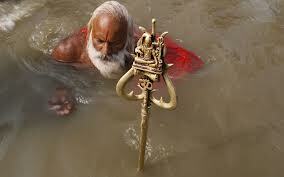 ?s most sacred rivers, the Ganga, Yamuna, and Godavari, it is the worlda? ?s oldest and largest religious gathering . 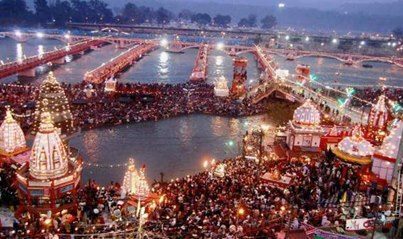 This year the Maha Kumbh began on the day of maker sankranti, with tens of thousands of devotees, ascetics and leaders of various orders taking the holy dip at the sangam – the confluence of the Ganges, the Yamuna and the mythical Saraswati rivers. 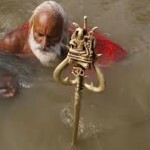 The main ritual is the holy bath which starts as early as 3 a.m. and is believed by Hindus to absolve them of sins. As dawn approaches, different groups of sadhus, often accompanied by elephants, camels and drummers move towards the river to bathe, usually led by the nagas (naked sadhus with bodies covered with ash and matted hair). If official reports are to be believed, as many as a hundred million pilgrims are expected to pass through the city over the next two months, making it larger than any cialis lilly once day. previous festivals. The festival has its roots in a Hindu tradition that says Lord Vishnu wrested from demons a golden pot containing the nectar of immortality. As mesmerizing as it is spiritual, this religious gathering is a meeting of mystical minds, where holy men gather together to discuss their faith. acquire valtrex Pilgrims who attend the Kumbh mela come to see and listen to these men, in order to gain spiritual enlightenment. It also is a great opportunity for the westerners to learn the Hindi language and for Indian parents probably away from the country to acquaint their kids with the Indian culture. Authorities have constructed a vast tented city at the festival ground for masses of pilgrims, with millions being spent to provide everything from sanitation to security. The grand festival which has in previous years Order tulasi actress broken the world record for the biggest human gathering will end on the 30th of March.